The blogging community is a dynamic and tight-knit one. I belong to several different groups for bloggers–some focus on the business of blogging, and others are groups of bloggers who actively support the efforts of their blogging peers by posting comments and social media shares. 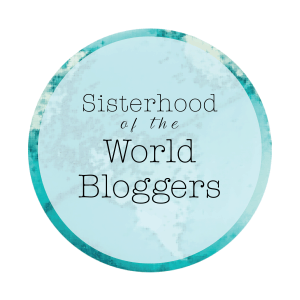 I’m pleased to be a member of the Sisterhood of the World Bloggers group. Donna loves chocolate and travel, lives in Winnipeg, and likes to escape the cold Manitoba winters. We have a lot in common. As part of the process of accepting this award, I’ve got to answer a series of questions posed to me by Donna, my nominator. 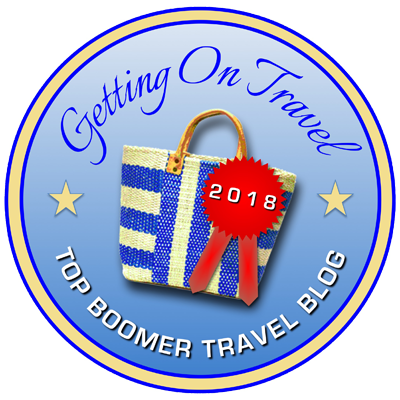 I then have to choose 10 women bloggers who specialize in travel, nominate them here, and pose my own questions to them, that they in turn will answer on their own blogs. Why did you start blogging? I started blogging back in 2009 as a way to build my author’s platform, and to connect with readers. I’ve really learned to love it and look forward to sharing thoughts and stories with my readers every week. How did you select the name for your blog? That’s a two-fold question. I previously had 3 separate and distinct blogs. One was a writer’s blog and was in my name. 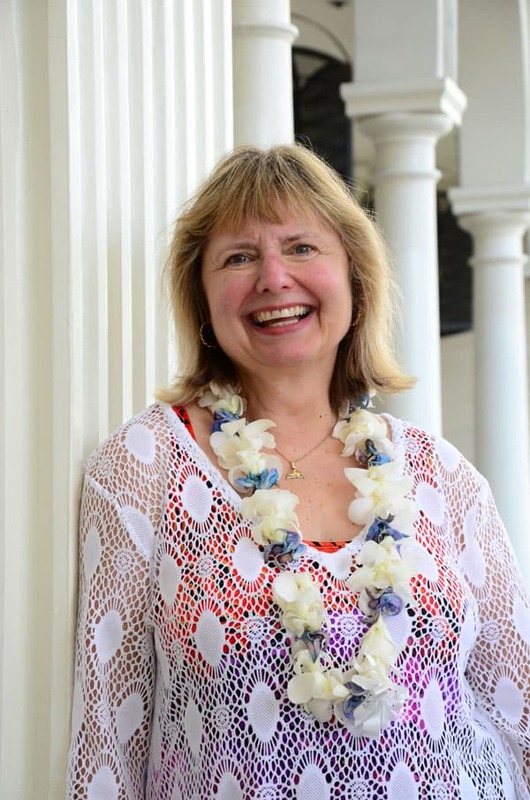 The second was a travel blog I called “Diversions with Doreen,” and the third was a site for my chocolate events and carried the same name as my book, Chocolatour. I’ve now merged the three blogs into this site, as it was too difficult to post regularly to 3 sites. How do you like to travel? Alone, in a group, fast-paced, laid-back, luxury, budget, structured, unplanned, . . . I am not a solo traveler by choice. I only travel alone when necessary. I much prefer travelling with a friend with whom I can share laughs and experiences and compare notes on the chocolate, food, or wine we may be tasting. Most of my travel is structured as most of it is sponsored in some way. 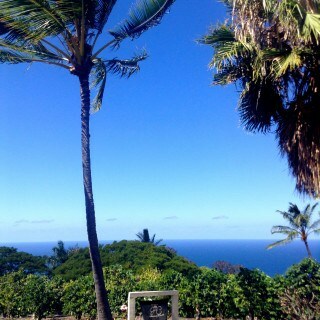 I wish I could take leisurely vacations, but it’s just not in the cards at this point in time. On a very rare occasion, I take time away from the d=fast pace of my life as a travel writer and take a holiday with my husband and our cat. Being kissed by a camel is something I’ll never forget! What has been your most unusual travel experience? I would have to say my trip to the UAEA. I’ve done a fair amount of travel and have visited at least 30 countries to date, but most has been in North, South and Central America, the Caribbean, and Europe. But when friends of mine were living in Dubai, I took the opportunity to visit them and explore the United Arab Emirates. I was really surprised at how different life was for them in Dubai, and I really loved visiting the Grand Mosque in Abu Dhabi, and being kissed by a camel in the desert! What is the weirdest food you’ve eaten? It would have to be guinea pig in Peru. It is their national dish, so we had to try it. But I can’t say I enjoyed it much. And it definitely was weird eating a rodent. What do you do to plan and prepare for a trip? I’m not a big planner. I fly by the seat of my pants so to speak! So I’m a last-minute packer, and I rarely have time to fully research a destination as thoroughly as I might like. That’s part of the fun, though. I love being spontaneous, going with the flow, and being completely open-minded when I travel. How has blogging changed your travel experience? It hasn’t really changed my travel experience very much, as I’ve been a travel writer since 1997. So I’ve always been taking notes and taking pictures when I travel. And I’ve always been sharing my stories with people. I think the one way that blogging has changed my travel experience is that I can now publish as quickly as I like, and can get instant feedback from my readers and fellow bloggers. I really love that! Where will you go next? My next big trip will be to go back to Mexico. I was there in May on a research trip, as well as to attend a travel writer’s conference and fell in love with the country all over again! It had been about 10 years since my last visit to Mexico, and about 20 years since my last visit to Puerto Vallarta. 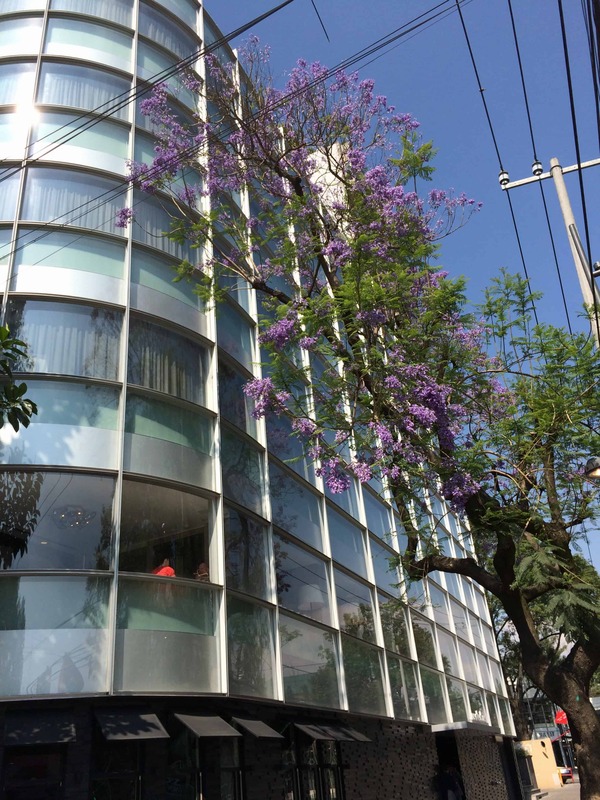 I visited Mexico City, Guadalajara, and Tequila for the first time and enjoyed the experience so much I’m planning a return trip in the very near future. What is your favourite thing about blogging? Without question, it is having the opportunity to choose what I want to write about. I love storytelling and being able to share my thoughts with like-minded people. I also love the way blogging opens us up to the world and enables us to connect with people around the world. I’ve made some tremendous friendships through blogging. What is the most important thing travel has taught you? To keep an open mind! It really irks me when I’m travelling and someone compares what’s going on (whether it be the accommodations, food, culture, or whatever) to what they get/find at home. Travel is meant to be an adventure! Enjoy it for what it is. Don’t wish it was the same as being at home. You might as well stay at home if you aren’t open to adventure. 5. Do you have a favourite place that you just can’t seem to get enough of? 6. What is your favourite thing to do when you visit a new place? 7. Do you have a favourite travel blog? Thanks to these ladies for accepting my invitation into the Sisterhood of the World Bloggers. I can’t wait to read their answers to these questions, and to meet the bloggers who they choose to nominate into the Sisterhood! 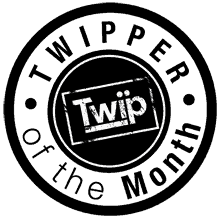 Congratulations on becoming a member of the “Sisterhood of the World Bloggers”! That sounds like a wonderful group to become a member of. I have always dreamed about being a travel blogger. (Who hasn’t?) I follow several travel bloggers online and they always impress me as being a supportive group. If I ever do decide to start a travel blog, I’ll be sure to let you know! Thanks, Sherryl! I definitely feel honoured to be a part of this group. I really enjoyed reading your answers to my questions. And I especially love the answer to the last question. Travel is meant to be an adventure. No point to comparing a place or an experience to what it is like back home. Happy adventures. Right on, Donna! Thx again for the nomination! Congrats on another wonderful honor. Well deserved! I love your new website and logo. Fantastic! Thx so much, Suzanne! I’m glad you like the new site! Thanks so much, Shelly. Great meeting you, too! Have a terrific summer. I look forward to reading your sisterhood post. Cheers! Thanks for nominating me for this Sisterhood! I am honored! I loved your answers and will hope to answer your questions after I get back from my next trip. I loved meeting you at the NATJA conference in Puerto Vallarta and must congratulate you on your new website. It looks fantastic! Thx, Debbie! It was great meeting you, too! Have a super trip to Grenada! Hi Linda! Yes, that was quite the day. I think some of my most exciting life moments has been close and personal encounters with wildlife. Are we connected on FB? Last wkend I posted pics of me feeding fish to an otter. That was truly an amazing moment for me as well. Great to hear from you. Congrats on such a nice honor. I am not surprised! I also enjoyed reading about Donna. You have done a great job on your website. 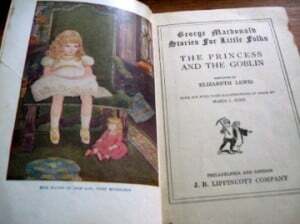 It is bright and cheery and easy to read. Good luck going forward. Thanks so much for your comment, Arleen! I just found it now. Glad you like the new site. I would be honoured if you would subscribe to the site so you don’t miss any new posts. 🙂 Cheers, and see you on BHB. It’s the first time I have been on your site but anyone who dedicates a blog to chocolate is automatically queen of the sisterhood in my eyes! Thanks, Natalie, and welcome! I’ve not yet been to Turkey or Istanbul, so it is definitely on my list. Have you found any good chocolate there? Honestly – I hate Turkish chocolate – I love it when my friends come and visit me because they bring me English chocolate like Cadburys. The Turkish chocolate just seems so bland. Thx for letting me know about Turkish chocolate, Natalie. I had assumed that was the case, as I’d never heard any good comments about it. If anyone can change my mind, I’m definitely anxious to receive samples! Doreen, congratulations. With all the awards you’ve been receiving over the last couple of years, you are going to need a huge vanity wall to display them. As you know, I am a great fan of yours and your chocolate writing – you make that subject sound so fascinating. I also want to tell you that I like the look of your redesigned blog – very nice and easy to navigate. Congratulations to you and Sherryl Perry for the finished look. Thanks so much, Lenie. I really appreciate your friendship and support. It’s been quite the journey! Love the look of your new blog, Doreen. And your decision to combine all your blogs into one was definitely the right choice. Congratulations of becoming a member of the Sisterhood of World Bloggers. Enjoy! Catarina recently posted…Do you test your hypotheses? Thanks, Catarina. As you know, I pondered combining the sites when I had only 2, but held off as the writing blog and travel blog had slightly different audiences. But once we had added a 3rd site for Chocolatour, I just couldn’t keep up! I’m glad Sherryl found a way to combine them and still enable readers to find the information they want. I absolutely love the picture of you with the camel. The expression on your face is absolutely priceless. I’m not sure I could ever bring myself to eat guinea pig. You are a brave woman. I’m somehow comforted to hear that it wasn’t tasty…I’m not sure why! Congrats on being inducted into The Sisterhood of The World of Bloggers! Erica recently posted…20 Healthy Breakfasts You’ll Want To Eat! Congratulations on the recognition Doreen! Sisterhood of Bloggers is a wonderfully fun name. Loved learning more about you and your travels by your answers to Donna’s questions. Thanks so much, Pat. It was an honour to be nominated to the “Sisterhood” and great fun to answer Donna’s Q’s and come up with questions for my nominees. Interesting how you came to name the blog. To be honest, I had kind of missed the point. Assume we’ll be hearing something about Mexican chocolate in the near future? Ken Dowell recently posted…Coding Our Future: What Becomes of Work? Hi Ken, and thanks for your comment. I think the term Chocolatour would resonate more with women, as we women fell in love with Johnny Depp and the movie Chocolat. And yes … I intend to do a series of posts about MX and Mexican chocolate very soon. Stay tuned! Congratulations Doreen! Well deserved honor! And your answers were superb! I envy that you kind of just get up and go without much prep. I read everything before I embark on an exotic trip! LOL Love the new of look of the page…very sharp! Jacqueline Gum recently posted…Hurt Feelings… Where’s The Justice? Hi Jacquie. Thx for the kudos about the award and the new site. I love it, too! I’ve always been someone who flies by the seat of my pants. I think that sometimes if you do TOO much research about a destination in advance of your visit, you focus too much on what you know, and don’t leave enough time in your itinerary or space in your imagination for the exciting thing that’s just around that corner. 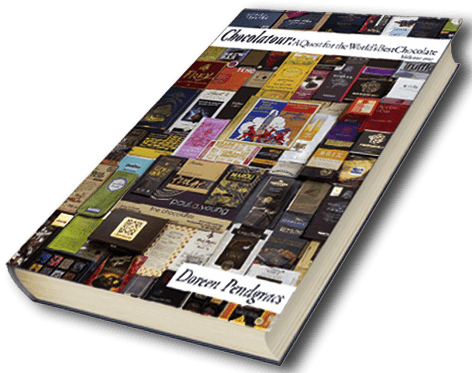 Chocolatour is the perfect name for your blog, instantly tells me, a newbie, what it’s all about. Two of my favorite things in life, Chocolate and travel. Congratulations on being chosen for the Sisterhood, I am looking forward to reading much more. Welcome to my blog, Rosalind, and thanks for the wonderful comment. 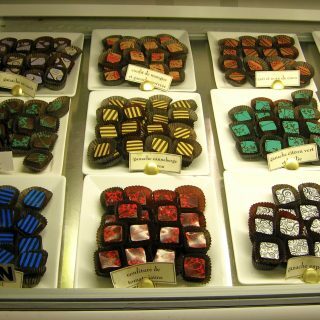 If you love chocolate and travel, you’ve definitely come to the right place! 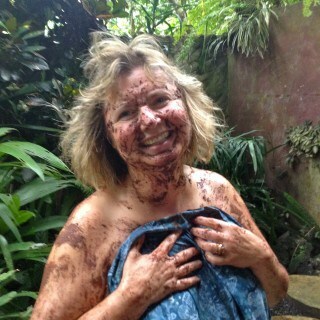 Writing about chocolate travel is a dream come true! Congratulations on becoming a member of the “Sisterhood of the World Bloggers”! It was great to find out a bit more about you and your blog. Congratulations on managing to merge your blogs too. Thanks, Mina. And I never could have merged those blogs without the guidance and assistance from Sherryl Perry. She is wonderful to work with. Congratulations on becoming a member of the “Sisterhood of the World Bloggers” Doreen. Really enjoyed learning more about you and your blogging experience. 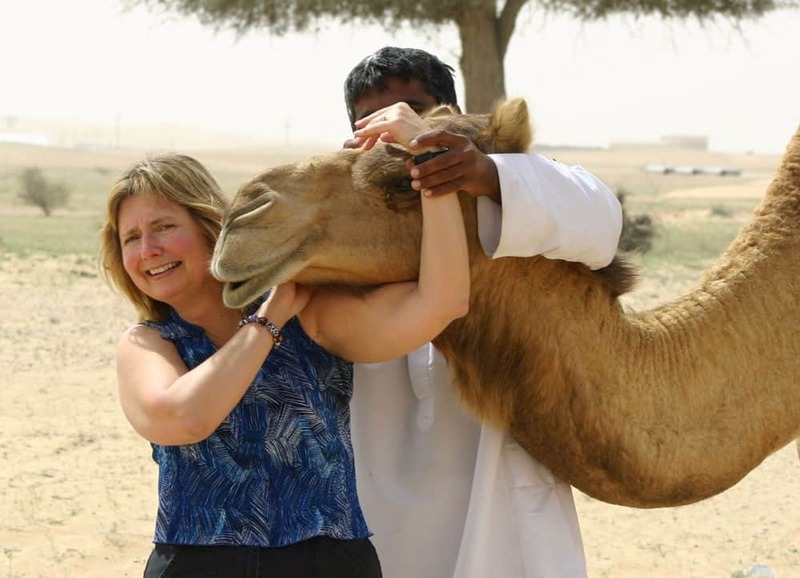 Love the photo of you and the camel! Thanks so much, Marquita. 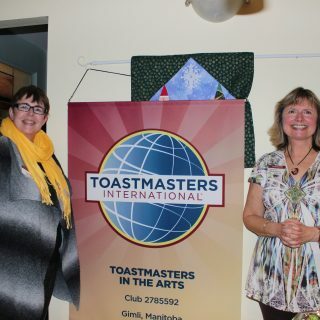 It was an honour to be asked to participate by Donna. Blogging has been quite the journey for me! Doreen — It’s wonderful that you’ve traveled the world and had so many adventures. I can tell by the expression on your face that you were set to run if the camel came any closer! Congratulations on becoming a member of the Sisterhood of World Bloggers. Thanks, Jeannette. It’s been great having you (virtually) on the journeys with me. There’s a lot more to come! I’m returning to Mexico in October for my next round of Chocolatouring. 🙂 Do stay tuned! Hi Susan and thx for your comment. Thx for your kind words of friendship. I am looking forward to our next adventure together. Perhaps next April when I come to Oxnard! 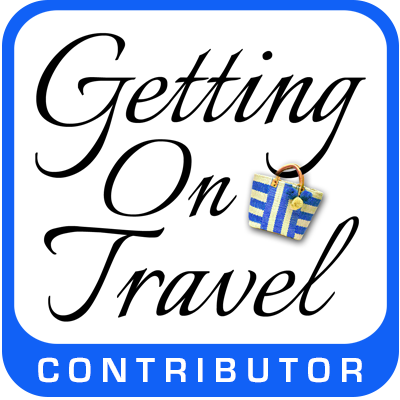 What fun to read about you/your travels! And major congratulations on the honor of being chosen! Bravo. Hi Rose and thanks for your comment. Glad you enjoyed the Sisterhood post. It was fun answering the questions I was posed. Always nice to reflect back on what we’ve done and where we’re going! Hi there, congratulations. Well done on this nomination. I have recently started blogging and you are definitely an inspiration. It is coming up to six years since you have started and that shows true dedication! Thanks very much, Olivia. It is indeed a lot of hard work, but it’s also a lot of fun!